This workshop will be held on Saturday 9th April at 10.00am. Dividing perennials is something most gardeners can and should do to increase the number of plants they have. 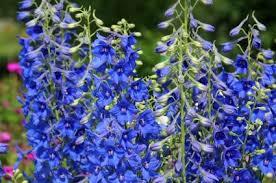 And also to improve or maintain the plant’s health and vigour. It is in theory a simple exercise. But when faced with digging up a prized plant that has established itself, many gardeners decide not to take a chance. 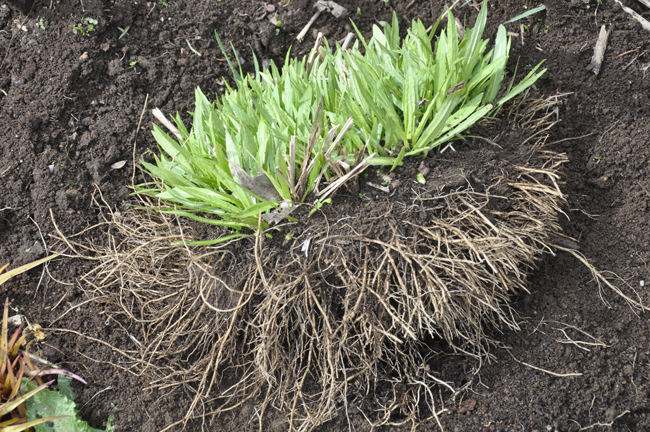 Many perennials will start to fade as the centre of the plant tires. Growth continues only around the perimeter. Splitting them and creating “new centres” will encourage new and vigorous growth. You’ll therefore have more, and more healthy, plants. The wide variety of perennials available also have a wide variety of flowering times that you’d prefer not to impede. And a variety of root structures that you’ll not want to damage. So it’s straight forward, except it isn’t quite as as easy as it sounds. In this gardening workshop I’ll explain the things to watch for, and show practical examples of several different types of perennial and how they are dealt with. I will also demonstrate some basic rules about when to divide and how to care for different plants. Dividing perennials – you’ll see how to divide what plants and when to do it. Each gardening workshops can only host a limited number of guests on each occasion, on a first come or invitation basis. Events will be presented by myself, and other local garden enthusiasts with particular passions and specialist knowledge. This gardening workshop will be held on Saturday 9th April. Book your place by sending your details below. Squaring up to this apparent beast – it having anchored itself in over more than three years – was not something I was looking forward to. But it had been planted previously for convenience, rather than in the best position for it. It also needed tidying and dividing. So with tread boards carefully placed to stop me sinking into the turned soil. I step in and start pulling out the long growth at about 12 inches from the ground. It reminds me of Hagrid. After removing a barrow full I can now see the extent of the clump. The first fork goes in and meets – surprising light resistance. As the Stipa is up against a fence I have only 180 degrees to confront it, so place fork opposite the first lift and gently lever. And up it comes. The roots are light and shallow, so getting it to split was no problem at all. In fact the outer sections with fresh roots showing look ready to fall off on their own. To get a better look at I put on top of a wheelie bin. 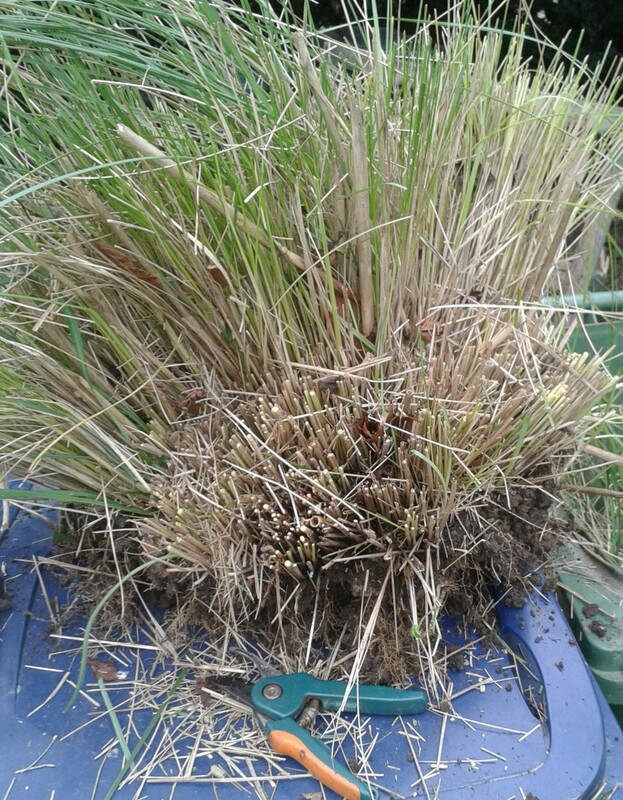 Trimming it back further leaves a neat Stipa “hedgehog”, that will be easier to part. 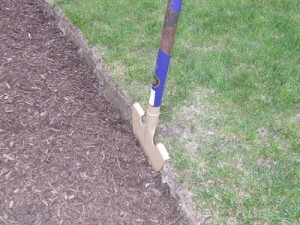 Tough clumps can be split with a spade, but this was easily parted by hand into neat clumps with clear root divisions. 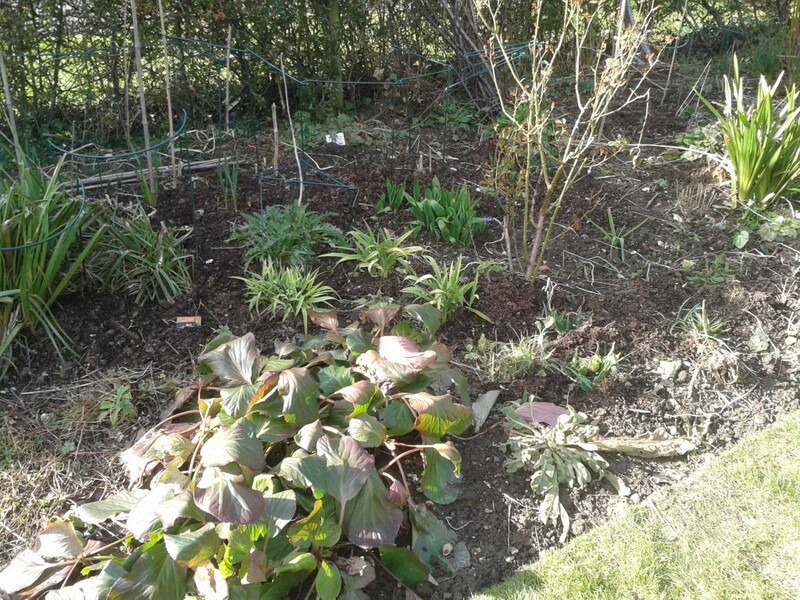 I have a spot in good sun and a lighter soil in mind, where it – or rather them after I have finished – will be seen. The long established Hemerocallis that occupy the site have to be removed. At the same time I can dig in some home-made course garden compost. This and the continual mulching is producing a nicely textured soil compared to the slabs of clay that are otherwise the norm here. From the one clump I made three, but one subsequently parted naturally and so there were four. These two will soon be accompanied by Verbena Bonariensis, hopefully providing a delicate screen to peer through to see the main border. The following photo shows the same plant 10 days after planting. Have the garden sell your house. Making the garden neater or more appealing can make a great first impression, or help get the asking price you want. I read an article recently that I had missed first time around. It was the open page of the broadsheet I had on the worktop as I cleaned my boys shoes. It immediately struck a chord. The basic premise was that if you have an appealing or desirable, or even just a tidy garden then you are more likely to sell your house for the price you want. The last two house I have sold both had gardens rich in features. These were a significant part of the appeal to the new owners. But the article I read stopped being interesting when it segregated properties and what should go on in a garden by price, with a dividing line somewhere between £2.5m and £5m. A discussion of lakes and expanse of water featuring on the sale brochure sealed my opinion. But a well-tended and interesting garden is available to everyone, size is not really that important. Unless you really want a lake. The size dictates what can be done up to a certain size, when ideas become the primary factor. As size increases budget becomes the most significant driver. Whatever you have or plan to do, keep in mind that you need to maximise the appeal to as many potential buyers as possible. A hard landscaped garden room with outdoor fireplace and cinema wall may have great appeal to same, but you can’t play football with you kid in it. The subject of maintenance is very subjective. A cottage garden can be raked over a couple of times a year and work well in spring and summer, but an interested gardener can find something to do every week. The appeal to a new buyer is the same as that of any visitor, in that they should be finding interest and wanting to look further. Most important is that it looks cared for, and is neat. The easiest way to have the garden sell your house is to trim grass edges, and mow any lawn areas. Neat is not short, so keep the cut higher so no scalping occurs. Then just fork over any exposed soil in the beds, which is infinitely more appealing than compacted soil that has not seen a fork recently. Add pots to areas where you want to draw the eye, away from utility areas. This same broadsheet article, which I could not find online, suggested covering the beds with bark chippings, as they were good for the soil as well. Of course they are, but they also attract birds hunting insect that hide in it. But birds throw the bark everywhere as they hunt. So if you need to mulch the beds use a coarse compost rather than bark, or you’ll be picking up bits from paths and lawns every time before someone calls to view. This article has some quite valid points though. You can also use time warp to your advantage. Some well taken photos of the garden at its best from previous seasons will provide a better impression than the ones taken before it’s in bloom, or on the grey day the agent comes. In particular, Rocoto. 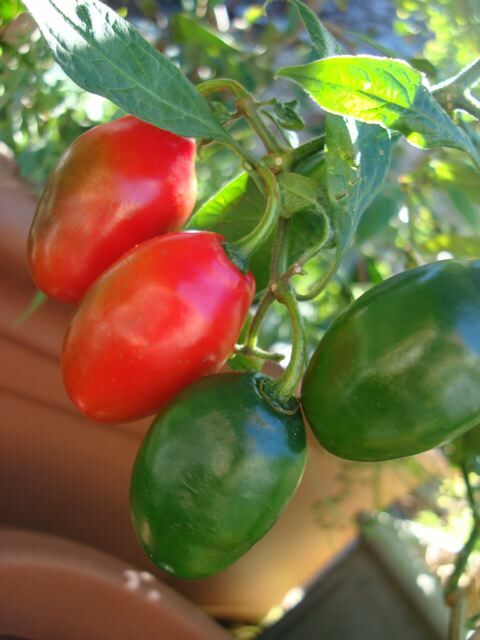 Sometimes also sold as Alberto’s Locoto. I first encountered this chilli pepper last year, and bought it only because the fruit was not standard chilli shape. In addition, it will also grow outside on a warm patio, and it can be overwintered, in the same way as a fuschia for example. Overwintering gives the plant a head start, producing fruit faster and more of them. The leaves are unlike the other chillis I grow as well. In fact they look more like a tomato, or deadly nightshade. They are large and hairy, and the flowers are small and purple. The fruits are shaped like small bell peppers rather than the traditional and expected witches fingers or cones. They turn green to red as the mature, gradually bringing the branches down with their weight. This year the seed sown was from last years fruit, taken just before Christmas when my daughter used a couple to make chilli chocolate for her friends. I sowed the first of them barely dried out on New years Day. 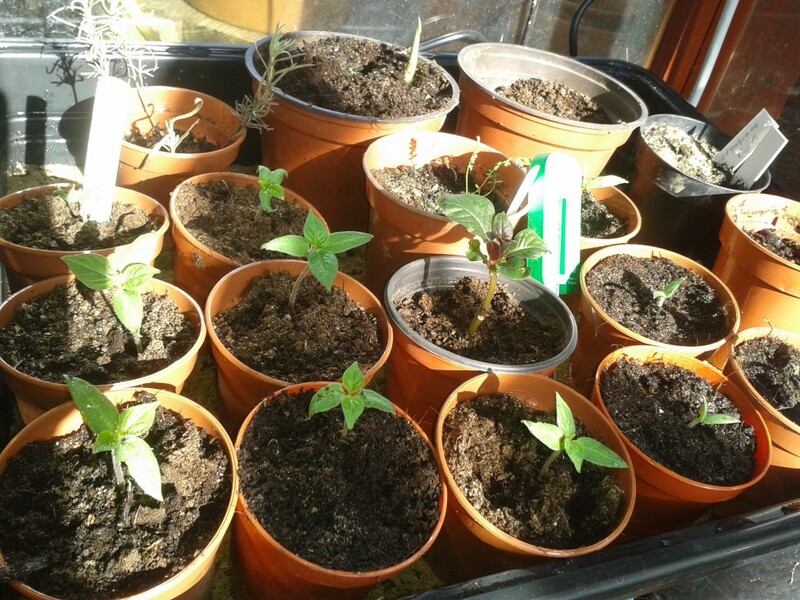 There was 100% germination in heated propagators through the mild January and occasionally frosty February. Last week I moved the first ones on into individual pots. 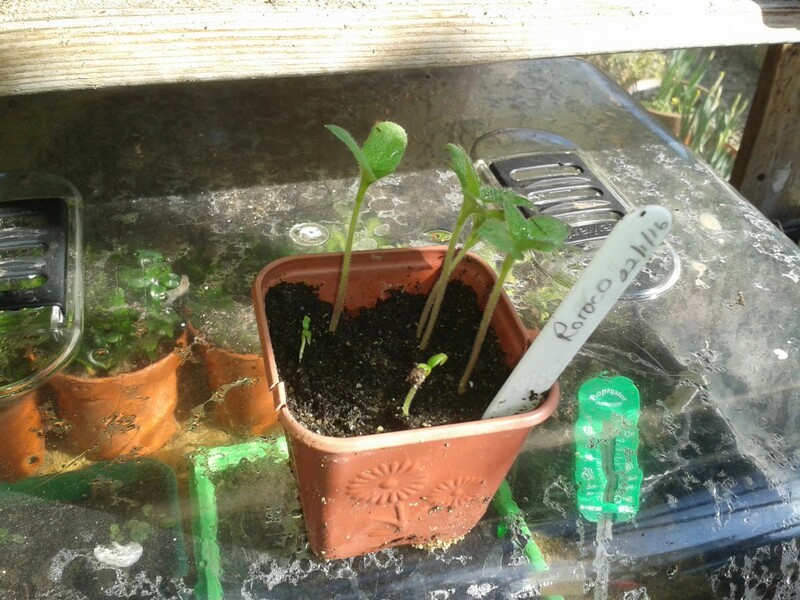 I want to pot these on quickly as they grow to maximise the outdoor season they will get in one of my suntraps. The original seeds were from Realseeds, a most helpful and friendly lot with loads of interesting seeds to choose from. 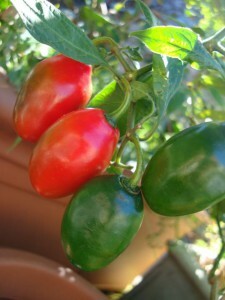 The website of the Chileman shows many varieties called Rocoto, with different colours of fruit and degrees of heat. Mine are very much on the hotter end of tolerable. And earlier this week I sowed 3 other varieties, some for the greenhouse but another that should grow outdoors. they should be ready to move on by mid-April. After a dry period, maybe the longest since early in the year, I have been able to take care of some more tidying and mulching. 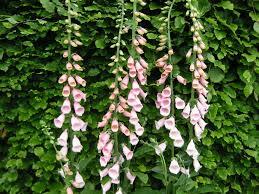 That has involved taking back the old stems and withered foliage that had been attractive with a little winter frost. Now the frost has gone it just looks plain untidy without it. 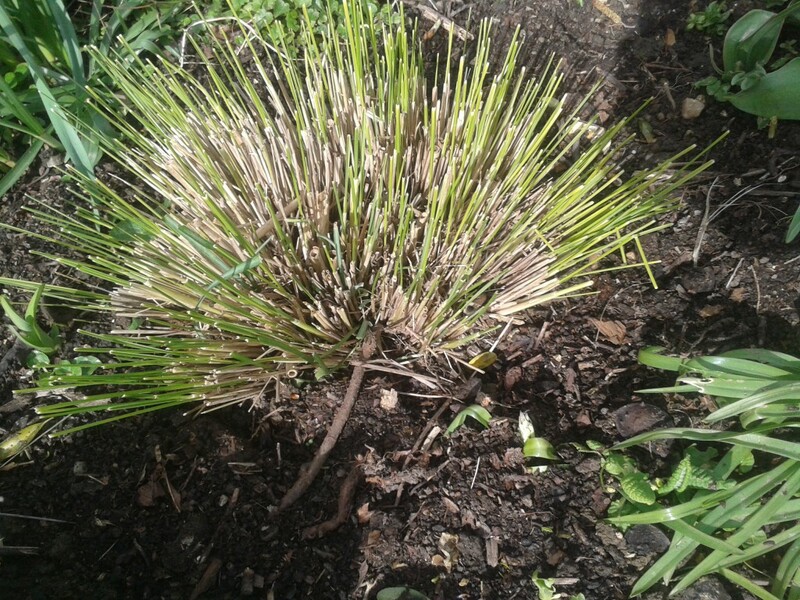 But it did provide some protection to crowns and emerging shoots when the occasional frost did arrive. Now that untidy protection has gone, a good mulch of home brewed compost is needed to protect for a few weeks. This will be worked into the ground by bugs and worms. For me mulching is not about weed suppression; I hope the plant density will do most of that for me. It’s about providing a spring nutrition boost, and long-term soil improvement. In the 3 years since my annual compost production was sufficient, the improvement in flower borders and raised beds has been fantastic. But the underlying silty clay needs to be constantly managed. So a good load each spring and prior to any new planting keeps it in check. The volume required makes having your own compost supply essential. My 8 square meters plus leaf mould bins just about copes with the demand. To buy that in would cost a fortune. getting manure from a local farm delivered starts at about £50. The garden economics I use makes that £45 too much. 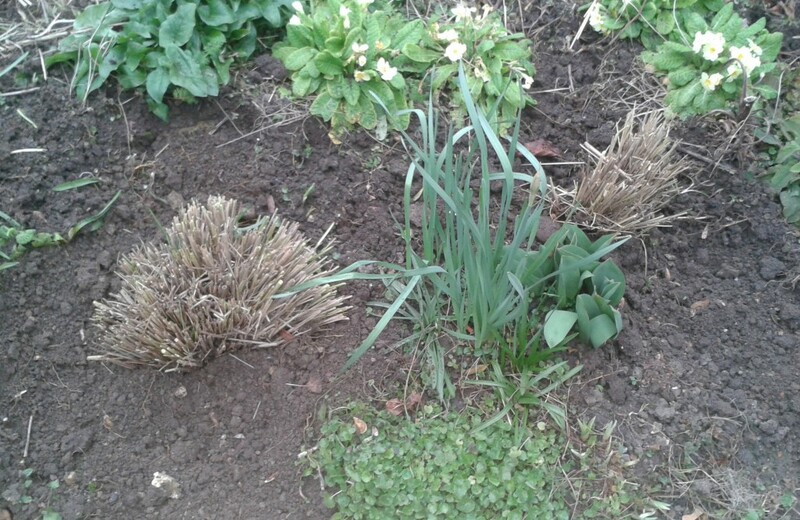 The material cleared from the flower borders has formed a new woody layer in the compost heap. Just as well as I have only about 1 cubic meter of compost ready. I have mown the grass once since New Years Day, but there is not enough real growth in it to provide the soft material needed for the next layer. A layer of partially rotted leaves will do instead for now. 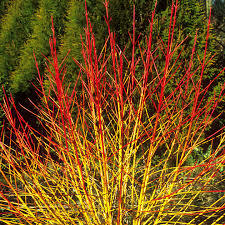 Next week is pruning week, with roses, dogwoods and a small tree to attend to. What does not get used for cuttings will be shredded for yet another layer in the compost bin. This workshop will be held on Saturday March 12th at 10.00am. 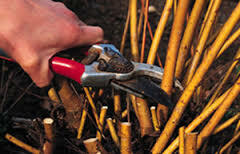 Pruning roses and dogwoods is best done before they start producing new shoots and leaves. This is usually late winter, and so could be anywhere between early February and mid-March. As fresh growth appears it is time to take action, so that your roses and dogwoods provide you with the best displays of colour in flower, leave and stem. The pruning roses and dogwoods gardening workshop will also discuss how to take some of the stems you remove and use them to propagate more plants. This workshop will look at several different approaches to building up your stocks of roses and dogwoods. My gardening workshops will only be able to host a limited number of guests on each occasion, on a first come or invitation basis, and are intended to impart and share knowledge, not as a commercial venture. They are a free introduction to me. Parents, especially mums, fear that children might find poisonous plants in your garden, and worse, come to harm from them. And they are right to be concerned as there are lots of very common plants with dangerous leaves, seeds and sap. But knowing what they are and quite what level of risk they pose can put your mind at rest, and allow you and your children to enjoy the garden without worry. The poisonous plants in the garden workshop will introduce you to the most common plants that pose a risk, and show you how to recognise the most dangerous ones that are perhaps not so common, and may not even be in your own garden. Remember that in the vast majority of cases your child would have to sit down to three courses of plants to cause much harm, but there are few that can be quite nasty. Many of these plants contain substance used in medicines, and so contact with or ingestion is dangerous. Some parts of plants are dangerous to your pets. Unlike your children, they won’t learn to avoid them. Know what can hurt your pets and protect them. My garden workshops will only be able to host a limited number of guests on each occasion, on a first come or invitation basis, and are intended to impart and share knowledge, not as a commercial venture. They are an introduction to me. This workshop will cost £2 per person.